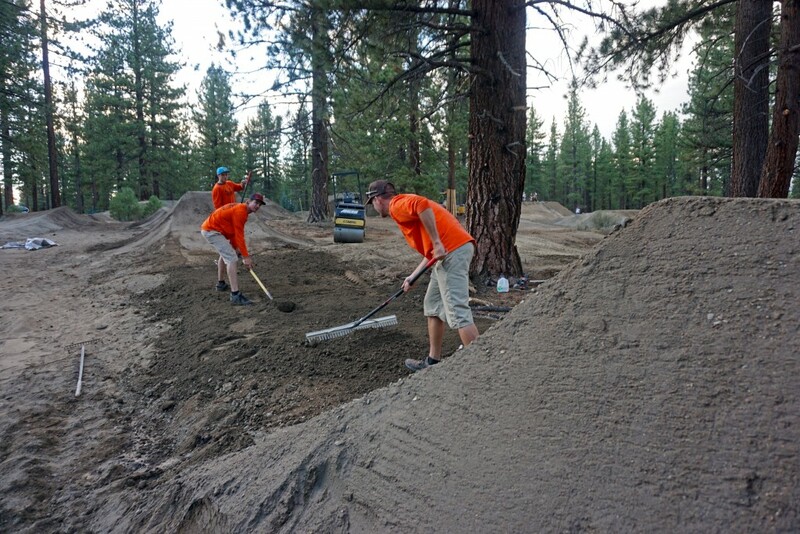 Bijou Bike Park Update: 3 weeks into construction today, Aug 5. This week the focus has been on the 3 slopestyle lines. 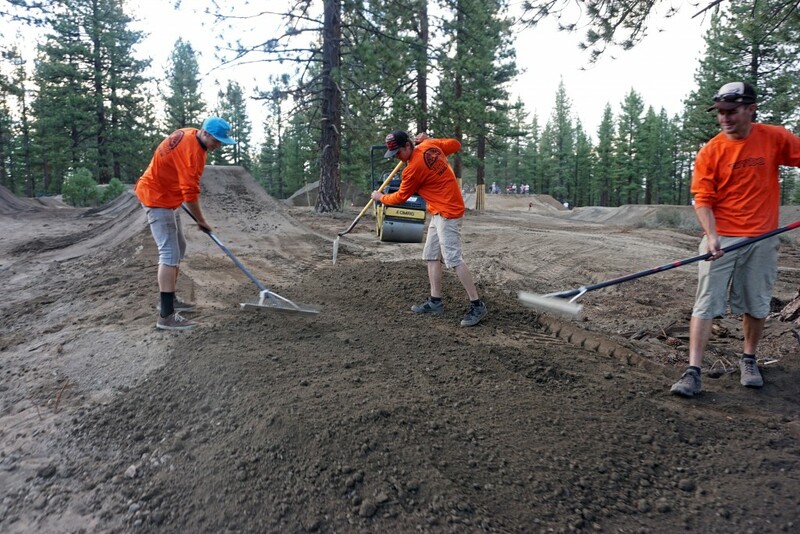 We have a small group of “pro” TAMBA volunteers out there every day slapping dirt (including Kris, Cory, Matt, Rycon) The start hill is shaped, the small line is shaped, the medium line is being built with the large line to follow over the next couple days. All wedges are landings for the jumps, the jumps will all be steel framed and wood decked, but will not be here until early Sept. So please stay off the jump lines until they’re done. The BMX track is complete, slurry get’s added next week. Pump tracks start next week. We’ll be making a call for volunteers next week. Until then, see you at the Meyers Mountain Bike Festival this weekend!